Delivery, template, and Installation area - Boston to Philadelphia. Shipping - available nationwide and internationally. Hired Brooks Custom to build and install a Walnut Counter top for my new kitchen. It's beautiful and is the "wow" factor for my room. The company was very easy and efficient to work with and the gentleman who measured and installed is the nicest man and did an amazing job! I highly recommend them! 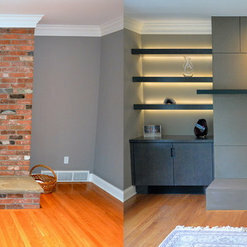 Without question, finding Brooks Custom enhanced our renovation/addition project significantly. I called to inquire about sale items on their site, and immediately the response was very welcoming. 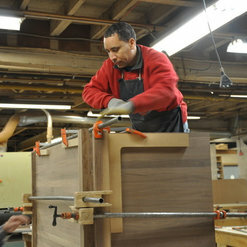 Upon entering their show room, I was very impressed and mesmerized at the quantity and quality of surfaces on display. 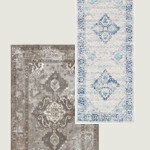 The entire staff is friendly and experts on their products. I even saw the founder and chatted with him! 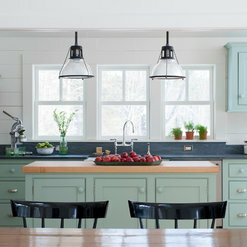 The result is that I purchased two sale items, a Stainless farm sink and a Zinc counter top, both which are so awesome. 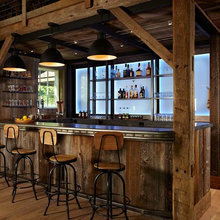 I returned with my husband, and we ordered two wooden counters, knowing we were elevating our project to a new aesthetic. I cannot say enough about the professionalism of this entire team. The communication, discussion of options, the follow up with purchases, template appointment and the installation were flawless. 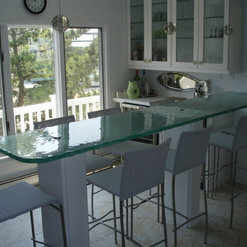 The counters and sink are even more stellar! 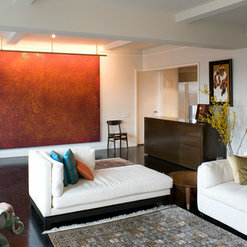 We love Brooks Custom, and are proud to have their works of art in our home. 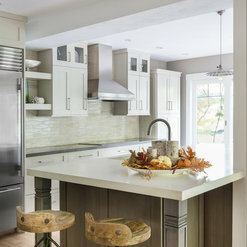 I have been designing kitchens for nearly 20 years and working with Brooks for a substantial part of that time. I have always found it to be very easy to communicate highly specific design details to the capable professionals who engineer Brooks' complex, custom products. 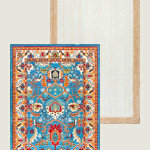 The craftsmanship of the experts who execute the production of these exquisite offerings is second to none! We had Brooks design a portion of our island. The piece came out perfect! 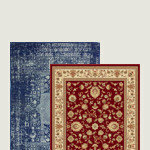 They were very professional from start of process to completion. Couldn't be happier with the completed project. 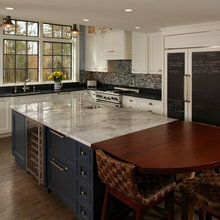 I'm a kitchen designer in Boston and I have had the occasion to use Brooks Custom on a couple wood top projects. I enjoyed working with a company that is very detailed and thorough with the whole process of estimating, ordering, and of course delivery. The pride in their product shows. I DO NOT RECOMMEND!!!!!!! The concrete counters are pretty for too short a time. I had my kitchen and bathrooms done by Brooks. The counters stained and buckled. They do not hold up to soap, or oils, or toothpaste! And when I tried to get help from them to improve the look, it cost me more money, only to have it get worse. Dealing with the owner, Richard Brooks was truly unpleasant. He was extremely rude. I'm very sorry to hear that you had a poor experience with us recently; we always try to do the best for our customers. Our technicians have been to your home to service the concrete countertops many times, and I do apologize that the service has not lived up to your expectations or standards. Please let us know if there is anything we can do to remedy the situation. We've used Brooks many times and have always been impressed with not only their products but also their quoting, customer service, and scheduling. 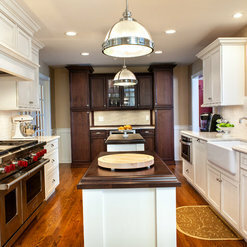 Brooks Custom is always our go-to for quality wood countertops. 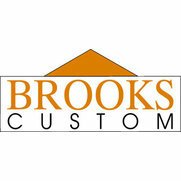 We are General Contractors and use Brooks Custom as often as we can. 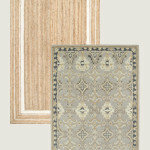 They can fabricate to our specifications so we can install and they can template, fabricate and install. Their approach is collaborative and we often discuss approach and timing in order to achieve the best result for the Client. My dream kitchen always included concrete countertops. 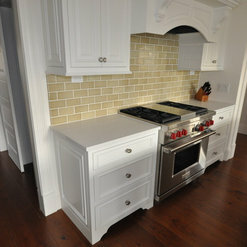 When we started to design our kitchen remodel, I researched and found Brooks Custom. How fortunate! The reps, designers and artisans at Brooks were all excellent to work with. My countertops are beautiful, durable and richer looking than any other stone I found during my extensive planning period. Brooks was prompt in responding to my questions and concerns during the construction period. Make sure you are home to watch the install- it is fascinating to see it happen. The installers were incredible in their precision and craftsmanship. I wholeheartedly recommend Brooks Custom. Brooks Custom did an amazing job on my walnut island countertop!! 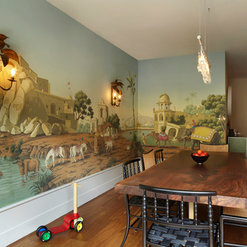 I had seen a picture on Houzz of another one of their masterpieces and tracked them down to do mine! I have 3 boys so was somewhat hesitant to do a wood island but it has been durable and creates such a warmth in my white kitchen! Thank you Brooks Custom! Brooks Custom answered a question: How does the concrete counters compare functionally and cost wise? 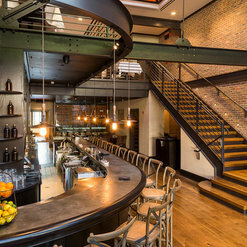 Commented: Love the backsplash? 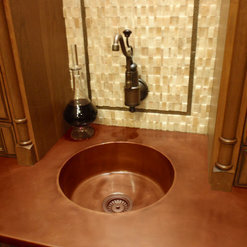 Where can this be found?That hammered copper backsplash was made by us! If you're interested in getting one similar, please email quotes@brookscustom.com with your desired dimensions and we will provide you with an estimate. Commented: PaintThanks for your question! The paint color was chosen by the homeowner, so we, unfortunately, do not have the color in our records. Commented: FaucetThanks for your question! 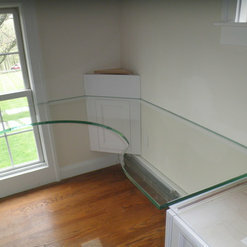 Unfortunately, the fixtures were chosen by the homeowner, and we don't have that information. Commented: Who supplied the wood tops?Thanks for your question! The wood tops were made by us. If you're interested in getting something similar made, feel free to contact us or look on our website, brookscustom.com for more information.